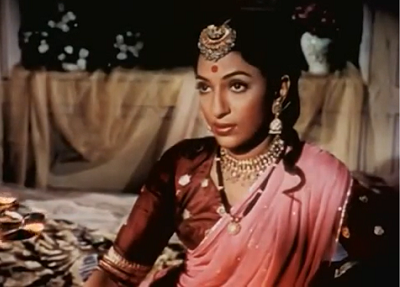 Starring Mehtab as the legendary Lakshmibai, the 1953 film was among the most lavish productions ever mounted. If you so much as point a camera at a painting or statue of Rani Lakshmibai of Jhansi astride her horse, her sword held high and a child strapped to her back, the frame seems to spring to life and quiver with emotion. Such is the legend of the warrior queen, who led her army against the British and died on the battlefield at the age of 29 in 1858. So it isn’t surprising that the films that have been made about the icon of the freedom movement have been been anything but ordinary. In keeping with expectations, Manikarnika: The Queen of Jhansi, which stars Kangana Ranaut, has been creating a stir even though it will be released only on January 25. The production has been wracked by controversy following alleged budgetary overruns and the heroine’s decision to take over directorial responsibilities. The film has since been credited to Krish and Ranaut. It will be released in Hindi, Tamil and Telugu. Drama of another kind marked the best-known screen version of the legend so far. Almost 66 years ago came a Hindi movie whose production was nearly as grand as the legend it sought to capture. 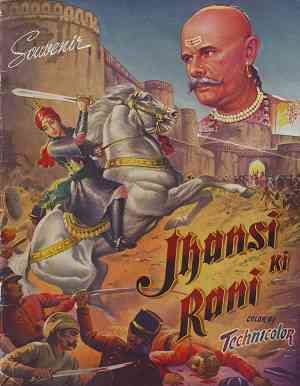 Sohrab Modi’s Jhansi Ki Rani was the first Indian film to be shot in Technicolor. It was made in Hindi and English with a partly international crew and state-of-the-art technology. “Jhansi Ki Rani was my father’s magnum opus, a film that he had wanted to make for many years,” said the director’s son, Mehelli Modi, who runs the Second Run DVD label for arthouse films in London. 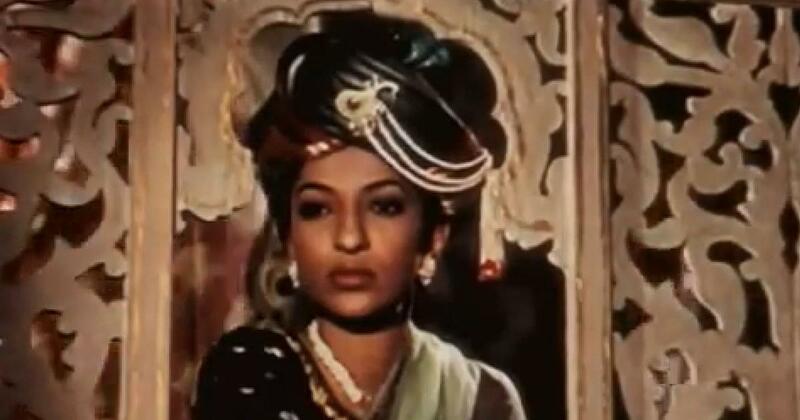 Featuring Mehtab as the queen, well-known actors from the period, and music by Vasant Desai, Jhansi Ki Rani was a hugely ambitious project – but not an unusual one for its director. Sohrab Modi was a reputed director of social dramas as well as historical films, with Pukar (1939), Sikandar (1941), Prithvi Vallabh (1943), Ek Din Ka Sultan (1945) and Sheesh Mahal (1950) under his belt. He had been dreaming of Jhansi Ki Rani as early as 1942. The film involved a production process that rivalled a military campaign and cost huge amounts of money. But after it was released on January 24, 1953, it proved to be a flop. “In those days, it cost something like a crore,” Mehelli Modi told Scroll.in. 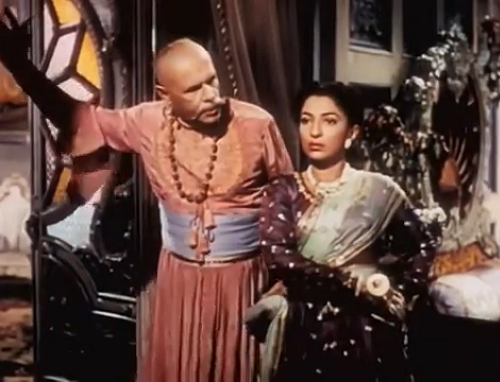 “Even if everybody in India had seen the film, it would not have made its money back.” The movie’s failure sent Sohrab Modi and his Minerva Movietone banner to the debtors. 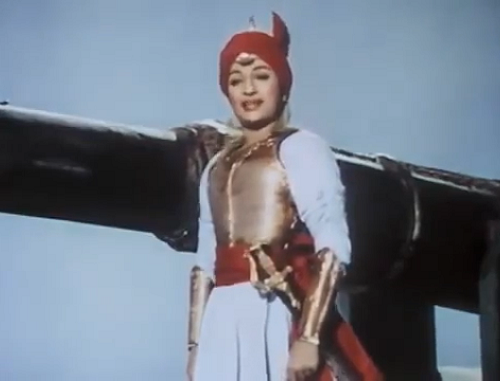 Mehtab in Jhansi Ki Rani (1953). Courtesy Mehelli Modi. One of the reasons for the high production costs was the three-strip technology involved in Technicolor. This meant running three separate strips through the same camera that were later processed together to produce a single image. “Films such as Gone with the Wind and A Matter of Life and Death had been made with this technology,” Mehelli Modi said. Since Indian laboratories could not process Technicolor at the time, Modi parked himself in London for several weeks in 1952 to complete the film, which was also released in 1956 in English as The Tiger and the Flame. 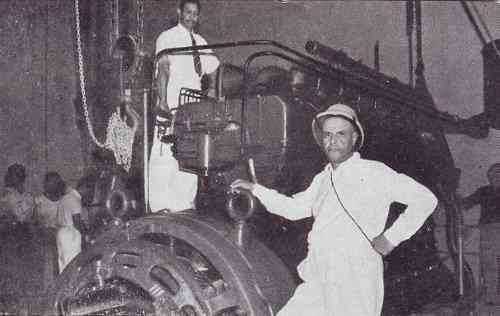 Sohrab Modi on the sets of Jhansi Ki Rani (1953). Courtesy Mehelli Modi. The shoot finally commenced at 3 pm on Thursday the 18th of January, 1951. In keeping with the momentousness of the occasion, KM Cariappa, the first Indian Commander-in-Chief of the Army, performed the mahurat (inaugural) ceremony. Modi initially shot nearly 5,000 feet in black and white, but “looking to the multitudes of coloured costumes, the pageantry and splendour of the era in which the valiant Rani lived”, he decided to switch to Technicolor, the booklet notes. In September 1951, equipment to shoot the film in colour began arriving in Mumbai from England. This included a 275-kilowatt generator, the latest arc lights, transformers, cables and sound equipment and “thousand and one accessories”. 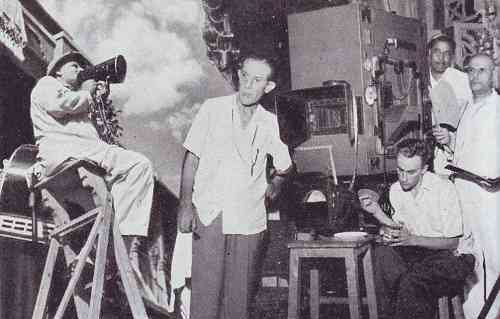 Modi recruited Hollywood colour consultant George Jenkins and Oscar-winning American cinematographer Ernest Haller, who had shot Gone with the Wind (1939) and The Flame of the Arrow (1950). Ernest Haller (centre) on the sets of Jhansi Ki Rani. Courtesy Mehelli Modi. Modi spared no expense. There were 22 major sets, including the main palace and its vast libraries, and Mehtab had at least 60 costumes changes. The kingdom of Jhansi was a set built over five-and-a-half acres on the outskirts of Mumbai. “On the set stood the massive Fort of Jhansi on a granite rock, with each bastion raised to dizzy heights, correct to the original scale,” the booklet says. The Bikaner Camel Corps and thousands of extras and horses loaned by the Ministry of Defence were deployed in the battle scenes between Lakshmibai and British officer Hugh Rose. Since Lakshmibai was known for riding into battle herself and encouraging the women of Jhansi to fight too, the Army unit Gangarasala and “trained girl-cadets of Banasthali school reinforced the cast to make the collective effect as realistic as possible”, the booklet says. 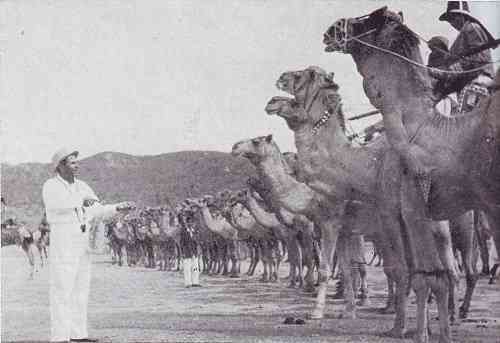 Sohrab Modi with the Bikaner Camel Corps on the sets of Jhansi Ki Rani (1953). Courtesy Mehelli Modi. Lead actress Mehtab, who had married Sohrab Modi in 1946, was stretched to her limits. “With riding, shooting, sword practice and slimming down exercises, Mehtab virtually led a camp life for two years, before she considered herself thoroughly groomed and ready to face the Technicolor cameras,” the booklet says. “My mother would come home with blood on her forehead and chin and I would be horrified,” added Mehelli Modi. Sohrab Modi’s flawless Urdu diction (the Parsi filmmaker was raised in Rampur in present-day Uttar Pradesh), regal bearing and baritone made him an effective authority figure, and he appeared in his own productions as well. In Jhansi Ki Rani, Modi plays royal adviser Rajguru, who chooses the young Manikarnika as the one who will wed Jhansi’s ruler, Gangadhar Rao (Mubarak). Manikarnika is a bold girl who fearlessly clambers up an elephant’s trunk. “I have 10 elephants in my destiny,” says the child, her head held high and her eyes sparkling. She is already something of a local legend when she meets Rajguru, and is described as “bhagya mein Lakshmi, gyan mein Saraswati and shakti mein Durga”. The widowed queen declares, “I will not give up my Jhansi,” and she storms into battle as her kingdom is attacked by the British. She dies with the word “Azadi” on her lips, soldering herself into the consciousness of a country that has never forgotten her sacrifice. Sohrab Modi and Mehtab in Jhansi Ki Rani (1953). Courtesy Mehelli Modi. After the failure of Jhansi Ki Rani, Modi had to mortgage his studio. He bounced back the following year with another historical, Mirza Ghalib, and continued to make films until 1969. He died in Mumbai on January 28, 1984. Bootleg copies of a black-and-white Hindi version and The Tiger and the Flame exist on the internet as partial reminders of Sohrab Modi’s vision. “The English film is an hour shorter than the Hindi one,” Mehelli Modi said. If the original negative is unearthed some day, it could lead to a revival of one of India’s grandest epic films – another drama that will be worthy of the legend that it celebrates.